As a reputed firm, we are engaged in manufacturing, supplying and distributing a wide range of Board Fault Locators to meet the needs of our clients. 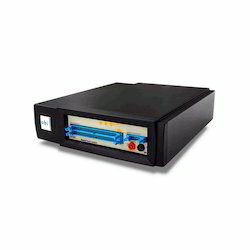 These Board Fault Locators are well equipped and offer reliable service. Owing to our rich industrial experience and expertise, we are engaged in offering a wide range of Board Fault Locators to meet the needs of our customers. These Board Fault Locators are effective in its performance and has number of user friendly options. Moreover these locators are known for its high performance over long time period. Part of Altium growing family of Nano Boards, the 3000-series Nano Boards provide the perfect entry-point to discover and explore the world of soft design in a low-cost, fun way. In true Nano Board style, each board in the series offers a reprogrammable hardware platform that harnesses the power of a high-capacity, low-cost programmable device to allow rapid and interactive implementation and debugging of your digital designs. USB Hub, providing for the connection of up to three USB devices to be attached for use by an FPGA design programmed within the User FPGA Integrated color TFT touch screen that facilitates dynamic application interaction. 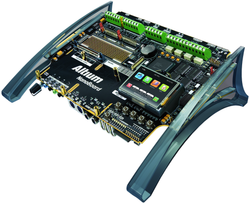 Additionally, a wide variety of FPGA-ready schematic components (ranging from processors to peripheral components and generic logic), and a complete set of tools for development and debugging, are included with Altium Designer. When combined with Altium Designer, a Live Design enabled 3000-series Nano Board transforms your PC desktop into an interactive reprogrammable hardwar e development system – truly an electronics ‘kit’ for the 21st century! Explore, Discover, Deploy – with a 3000-series Nano Board, you are limited only by your imagination.